If you are a lawyer or CPA–or know one–chances are high that you are very familiar with the age-old pattern of billable professionals doing the work that is on their desks, then wondering why not enough new work is coming into the firm. Or, the enlightened professional realizes that, while work is still coming in, the client quality is not what would be preferred. In order to have a book of business that is challenging, rewarding, and constant requires time consistently invested in client development. Client development, while generally discussed as a firm-wide initiative, is a very individualized effort when most successful. When I am advising my professional services clients, I automatically ask whether the partners, managers, associates, consultants, architects, engineers, etc have developed a personal marketing plan (PMP). The PMP is the foundation of client development. Principally, a well-executed PMP allows the practitioner to develop a clientele that is fulfilling to serve, makes work interesting, and motivating through increased compensation. Tracy Crevar Warren always asks her clients to begin the PMP process by first taking stock of where they are currently. She finds that many are already engaging in a number of successful practice-growth initiatives without being aware of it. By asking the questions below, she helps CPAs think about their baseline. Do you have a clear focus for your practice? What do you want to be known for in the industry? What gaps can you fill in the industry? Having answered these questions to your satisfaction, you may then begin the planning process. Success is relative to the individual, but its definition should answer the question, “if we were sitting here three (or five) years from now, what would need to have happened for you to feel successful?” Being able to envision a favorable outcome fuels the creative process of putting together strategies and tactics to arrive at the desired destination. Set goals that are SMART — Specific, Measurable, Achievable, Realistic and Time-sensitive. 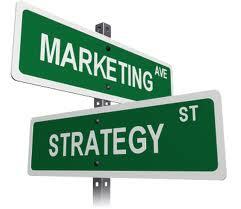 The PMP must, at its core, define your target market. Think about the characteristics of your best clients. How can you get more new clients similar to them? Who else is going after your prospects? How are they doing client development, and how can they be beaten? Crevar recommends storytelling to demonstrate your competitive advantages. People will be more likely to select you instead of the competition if you seem more credible. Thought leadership is established through cultivating the respect of your peers, clients and prospects by sharing knowledge. Whether your sharing is done through writing, public speaking, or service, it is important that you have a way to differentiate yourself from the competition by being the one whose values and knowledge resonate the strongest with the target audience. If no one has heard of you, that won’t happen. A focus on client service, evidenced by specifics in how you make sure you are providing value, is the best way to retain clients. Retention means you don’t have to secure as many new clients each year to replace those who churned because they did not feel valued. Educational workshops, personal visits for which you bill no time, taking an interest in the personal and community lives of clients are all ways to demonstrate your care. Simply writing down what you intend to do is only a first step. The follow-through is your trump card that will allow you to win market share and enjoy greater personal and professional success.